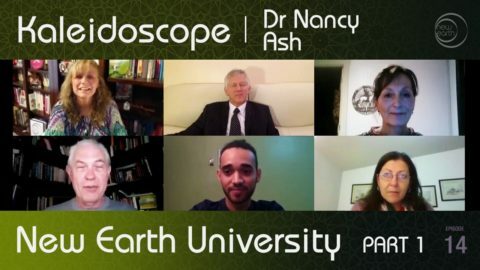 Alchemy… to Zero-Point, Kaleidoscope is New Earth TV network’s full-spectrum educational talk-show showcasing the NewEarth University. 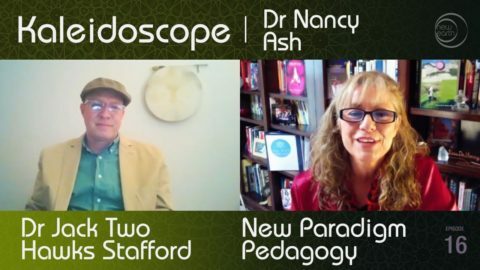 Your Kaleidoscope host is Rev Dr Nancy Ash, DD, PhD – worldwide Executive Director of the NewEarth University – learning arm of the NewEarth Project. A heart-centered mystic of the ancient sacred ways, Nancy is a veteran teacher with an integral message of Oneness. 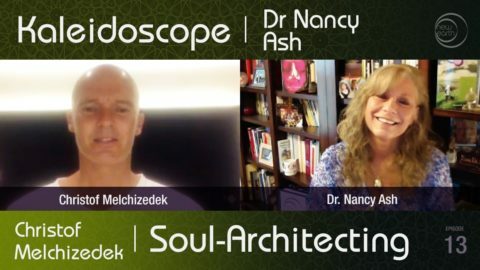 Dr. Nancy Ash holds a PhD in Religious Studies and a Doctorate of Divinity in Metaphysics and Spirituality. She is president of New Earth Theological University and a professor in its School of Interspiritual Studies. An ordained interfaith minister since 1985, Rev Ash facilitates ministerial training and doctoral programs for her international ministry. She is the author of two books: Doing a 360: Turning Your Life Around to Follow Soul’s Purpose, and Garland of Grace: Sitting with the Dying Sun (a college course textbook), and when putting her pen to rest Nancy mingles Soul-sovereignty with longtime best friend/husband Jonathan, nestled in the enchanting mountains of New Mexico… communing with ravens, red foxes, hummingbirds and other delightful friends. Her site, chock-full of inspiration and grace, assists clients and students on their heroic journey of awakening: www.Doinga360.com ~ Dr. Ash’s books may be found here.